Earlier this year, MG Motor officially christened their first SUV for the Indian market as the Hector. 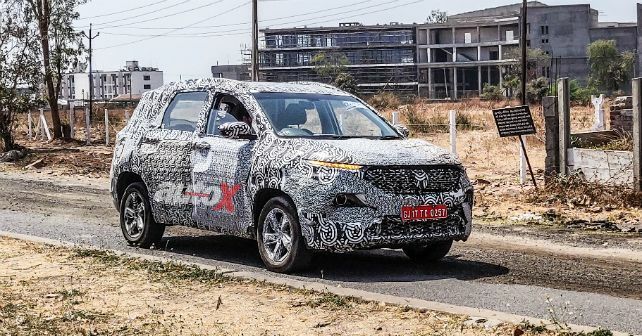 Expected to be launched in mid-2019, we recently spotted the Tucson-rivalling on a test. While the car we spotted was heavily camouflaged, we could spot some key design elements of this upcoming SUV. At the front, the Hector gets a wide honeycomb grille that will proudly flaunt the MG insignia in the centre. The front bumper will be wide and have a similar honeycomb air-dam too. The Hector gets LED turn indicators at the top corner of the grille on either side. The headlight, however, has been positioned below it. The test mule we spotted sat on 10-spoke 17-inch alloy wheels – similarly sized as some of its rivals. With the heavy camouflage details of the rear were difficult to decipher, but we can tell you that it will have a sharply sculpted bumper – possibly with a scuff plate and large LED wraparound taillights. The Hector is expected to be taller and longer than its rivals, which means the cabin should be generously spacious. MG Motor will not be taking any undue risks with the Hector and will load it to the brim with creature comforts. The Hector’s seats will be draped in leather and the soft-touch materials on the dashboard will give it a premium appeal. In terms of features, the Hector is likely to come with a 360-degree camera, electrically adjustable front seats, touchscreen infotainment system, electric parking brake, rear AV vents and more. MG Motor will launch the Hector with petrol and a diesel engine option both of which are expected to develop about 170 horses. That being said, there is no official communication from MG Motor about the output figures of the SUV. Both engines will come paired with 6-speed manual transmission – there may be an automatic on offer too. At the christening of the Hector, MG Motor revealed their aim of 75 percent localisation right at the time of launch. With that in mind, expect the Hector to be priced competitively.